Speaking succinctly is important for a number of reasons. When you speak concisely, people are more likely to pay attention to what you’re saying and also to remember your message. Furthermore, if you’re being interviewed for a story on a news broadcast, editors will need to find short clips (sound bites) from your interview that they can use for the story. If you’re rambling on and on, it’s going to be hard for them to find a good clip to use. Topic-sentence styled sound bites are really functional. When they’re self-contained that way, they are much easier to use for the video editor. Seems to me that’s part of the strategic value – seems really foolish to spend a quantity of time doing an interview, and then have the folks trying to work with that material, have very few usable options. At that point you’ve wasted not only your own time, but theirs as well. Sound bites are useful in a number of situations, including interviews, press releases, speeches, and press conferences. But make no mistake — speaking in sound bites is an art. The good news is it’s an art you can master. 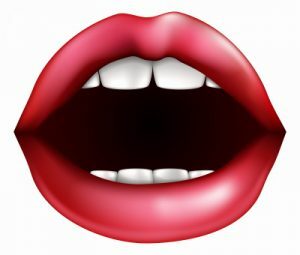 All you need to do is follow these simple tips to successfully speak in sound bites. This makes the sound clip come across as seamless. It’s like you’re speaking directly to the person watching or listening to the interview. Make it interesting — Nobody remembers dry and boring. You have to find ways to make your sound bites stand out so people notice and remember what you say. How can you do this? Numerous ways: use metaphors, be witty, be folksy, include a personal story, show contrast (e.g. “Ask not what your country can do for you, ask what you can do for your country.”), ask a rhetorical question, rhyme…the options are limitless. Know your message — What are you trying to say? What’s the one main point you want to get across? Break it down to its simplest form, and focus on delivering that message. Rehearse — Great sound bites are rarely accidental. They are the result of careful crafting and plenty of practice. Try out different quotes to see what’s working and what needs to be improved. Keep rehearsing until you have your sound bites committed to memory and can deliver them in a natural way. What are some of your tips for creating great sound bites? Share them with us by commenting below.